Country pop lovers, are you ready for some exciting news?? That’s right, Chris Young and Chris Janson are hitting the road together in 2019!! With special support acts still to be announced, they’re on their way to the Xfinity Center on Friday 14th June 2019 – be there!! Tickets are on sale NOW and expected to sell out very quickly, so don’t delay in getting yours! In 2006, Chris Young won the TV show Nashville Star, catching the attention of just about every major record label, and released his first, self-titled album, to critical acclaim and the delight of his fans. His career has come on leaps and bounds since then, with a series of hits including "Gettin' You Home (The Black Dress Song),” “Tomorrow,” and “Voices,” reaching number 1 on the charts. This year, he’ll be touring with his most recent album, the much-loved “Losing Sleep”. Are you ready to see the most improved version of his live performance yet?? It’s going to be incredible!! 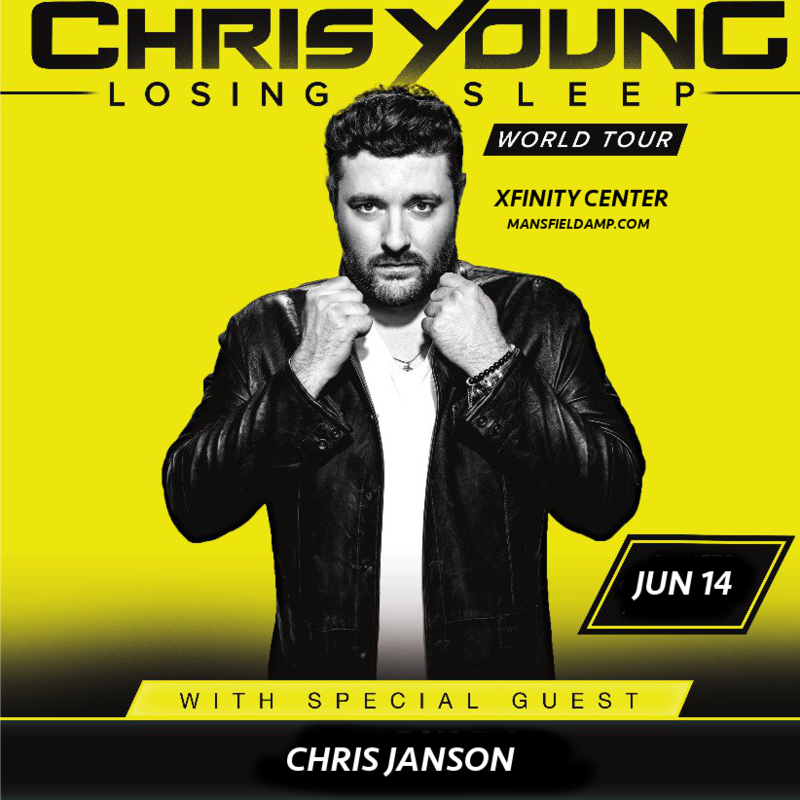 Listen to Chris Young’s latest single below – but make sure you’ve got those tickets now, because they’re not going to be around for long later! !